Who Should File a 2016 Tax Return? 1. General Filing Rules. Whether you need to file a tax return this year depends on several factors. In most cases, the amount of your income, your filing status, and your age determine whether you must file a tax return. For example, if you’re single and 28 years old you must file if your income, was at least $10,350. Other rules may apply if you’re self-employed or if you’re a dependent of another person. There are also other cases when you must file. If you have any questions, don’t hesitate to call. 2. Premium Tax Credit. If you bought health insurance through the Health Insurance Marketplace in 2016, you might be eligible for the Premium Tax Credit; however, you will need to file a return to claim the credit. If you purchased coverage from the Marketplace in 2016 and chose to have advance payments of the premium tax credit sent directly to your insurer during the year, you must file a federal tax return. You will reconcile any advance payments with the allowable premium tax credit. You should have received Form 1095-A, Health Insurance Marketplace Statement, by early February. The new form has information that helps you file your tax return and reconcile any advance payments with the allowable Premium Tax Credit. 4. Earned Income Tax Credit. Did you work and earn less than $53,505 last year? You could receive EITC as a tax refund if you qualify with or without a qualifying child. You may be eligible for up to $6,269. If you qualify, file a tax return to claim it. Note: You can’t use Form 1040EZ to claim the new Premium Tax Credit. You also can’t use this form if you received advance payments of this credit in 2016. Help is just a phone call away. Call or make an appointment today and get the answers you need right now. Sending a fraudulent IRS bill for tax year 2015 related to the Affordable Care Act: The IRS has received numerous reports around the country of scammers sending a fraudulent version of CP2000 notices for tax year 2015. Generally, the scam involves an email or letter that includes the fake CP2000. The fraudulent notice includes a payment request that taxpayers mail a check made out to “I.R.S.” to the “Austin Processing Center” at a Post Office Box address. Soliciting W-2 information from payroll and human resources professionals: Payroll and human resources professionals should be aware of phishing email schemes that pretend to be from company executives and request personal information on employees. The email contains the actual name of the company chief executive officer. In this scam, the “CEO” sends an email to a company payroll office employee and requests a list of employees and financial and personal information including Social Security numbers (SSN). Imitating software providers to trick tax professionals: Tax professionals may receive emails pretending to be from tax software companies. The email scheme requests the recipient to download and install an important software update via a link included in the e-mail. Upon completion, tax professionals believe they have downloaded a software update when in fact they have loaded a program designed to track the tax professional’s keystrokes, which is a common tactic used by cyber thieves to steal login information, passwords and other sensitive data. “Verifying” tax return information over the phone: Scam artists call saying they have your tax return, and they just need to verify a few details to process your return. The scam tries to get you to give up personal information such as a Social Security number (SSN) or personal financial information, including bank numbers or credit cards. 1. Your attempt to file your tax return electronically is rejected. You get a message saying a return with a duplicate Social Security number has been filed. First, check to make sure you did not transpose any numbers. Also, make sure one of your dependents, for example, your college-age child, did not file a tax return and claim themselves. If your information is accurate, and you still can’t successfully e-file because of a duplicate SSN, you may be a victim of identity theft. You should complete Form 14039, Identity Theft Affidavit. Attach it to the top of a paper tax return and mail to the IRS. 4. You receive a tax refund that you did not request. You may receive a paper refund check by mail that the thief intended to have sent elsewhere. If you receive a tax refund you did not request, return it to the IRS. Write “VOID” in the endorsement section, and include a note on why you are returning it. If it is a direct deposit refund that you did not request, contact your bank and ask them to return it to the IRS. Report client data theft to your local IRS Stakeholder Liaison. Liaisons will notify IRS Criminal Investigation and others within the agency on your behalf. Speed is critical. If reported quickly, the IRS can take steps to block fraudulent returns in your clients’ names. Contact local police to file a police report on the data breach, as well as the local FBI office and Secret Service (if directed). Contacting the tax agency in each state in which you prepare returnsContact the State Attorneys General in each state in which you prepare returns. Most states require that the attorney general is notified of data breaches. This notification process may involve multiple offices. The Federal Trade Commission offers tips and templates for businesses that suffer data compromise, including suggested language for informing clients. Send an individual letter to any clients who have been a victim of a data breach to inform them of the breach but work with law enforcement on timing. Remember that you may need to contact former clients if their prior year data was still in your system. Notify your tax software provider who may need to take steps to prevent inappropriate use of your account for e-filing. It’s possible that your firm and client passwords may have been compromised and need to be reset, so it’s important to contact your website and/or client portal provider(s). If required, notify a credit and/or ID theft protection agency. Certain states require offering credit monitoring and ID theft protection to victims of ID theft. Notify credit bureaus if there is a compromise. Clients may seek their services. What should I do if I’ve received a suspicious phone call or email from someone claiming to be from the IRS? If you have any questions or believe that you’ve been a victim of an IRS tax scam, don’t hesitate to call. If your qualifying parent or relative does live with you, however, you may be able to deduct a percentage of your mortgage, utilities, and other expenses when you figure out the amount of money you contribute to his or her support. To qualify as a dependent, income cannot exceed the personal exemption amount, which in 2016 (and 2017) is $4,050. In addition, your parent or relative, if married, cannot file a joint tax return with his or her spouse unless that joint return is filed only to claim a refund of withheld income tax or estimated tax paid. The deduction is limited to medical expenses that exceed 10 percent of your adjusted gross income (For tax years 2013-2106, this amount is 7.5 percent if either you or your spouse was born before January 2, 1949), and you can include your own unreimbursed medical expenses when calculating the total amount. If, for example, your parent is in a nursing home or assisted-living facility. Any medical expenses you paid on behalf of your parent are counted toward the 10 percent figure. Food or other amenities, however, are not considered medical expenses. Note: This tax credit is cumulative, so if you’ve taken the credit in any tax year since 2006, you will not be able to take the full $500 tax credit this year. If, for example, you took a credit of $300 in 2015, the maximum credit you could take this year is $200. The IRS began accepting electronic and paper tax returns on Monday, Jan. 23, 2017. More than 153 million individual tax returns are expected to be filed in 2017, according to the IRS. Taxpayers are reminded that a new law (more details, below) requires the IRS to hold refunds claiming the Additional Child Tax Credit (ACTC) and the Earned Income Tax Credit (EITC) until February 15, although due to weekends and the President’s Day holiday, many affected taxpayers may not have access to their refunds until the week of February 27. Taxpayers should file as usual, and tax return preparers should also submit returns as they normally do–including returns claiming EITC and ACTC. The filing deadline to submit 2016 tax returns is Tuesday, April 18, 2017, rather than the traditional April 15 date. In 2017, April 15 falls on a Saturday, and this would usually move the filing deadline to the following Monday (April 17). However, Emancipation Day, which is a legal holiday in the District of Columbia, will be observed on that Monday, which pushes the nation’s filing deadline to Tuesday, April 18, 2017. Under the tax law, legal holidays in the District of Columbia affect the filing deadline across the nation. The IRS also has been working with the tax industry and state revenue departments as part of the Security Summit, a joint initiative between the IRS and representatives of the software industry, tax preparation firms, payroll and tax financial product processors and state tax administrators to combat identity theft refund fraud and protect the nation’s taxpayers. A number of new provisions are being added in 2017 to expand progress made during the past year. The IRS anticipates issuing more than nine out of 10 refunds in less than 21 days, but there are some important factors to keep in mind for taxpayers. Beginning in 2017, a new law requires the IRS to hold refunds on tax returns claiming the Earned Income Tax Credit or the Additional Child Tax Credit until mid-February. Under the change required by Congress in the Protecting Americans from Tax Hikes (PATH) Act, the IRS must hold the entire refund (even the portion not associated with the EITC and ACTC) until at least February 15. This change helps ensure that taxpayers get the refund they are owed by giving the IRS more time to help detect and prevent fraud. The IRS will begin releasing EITC and ACTC refunds starting February 15. However, the IRS cautions taxpayers that these refunds likely won’t arrive in bank accounts or on debit cards until the week of February 27 (assuming there are no processing issues with the tax return and the taxpayer chose direct deposit). This additional period is due to several factors, including banking and financial systems needing time to process deposits. After refunds leave the IRS, it takes additional time for them to be processed and for financial institutions to accept and deposit the refunds to bank accounts and products. Many financial institutions do not process payments on weekends or holidays, which can affect when refunds reach taxpayers. For EITC and ACTC filers, the three-day holiday weekend involving President’s Day may affect their refund timing. Don’t hesitate to call the office if you have any questions or need assistance filing your tax return this year. You should receive a Form W-2, Wage and Tax Statement, from each of your employers for use in preparing your federal tax return. Employers must furnish this record of 2016 earnings and withheld taxes no later than January 31, 2017 (if mailed, allow a few days for delivery). an estimate of the wages you earned, the federal income tax withheld, and the dates you began and ended employment. You can use your final pay stub for these amounts. Starting in 2016, most taxpayers received one or more forms relating to health care coverage they had during the previous year. If you enrolled in 2016 coverage through the Health Insurance Marketplace, you should receive Form 1095-A, Health Insurance Marketplace Statement by early February. If you were enrolled in other health coverage for 2016, you should receive a Form 1095-B, Health Coverage, or Form 1095-C, Employer-Provided Health insurance Offer and Coverage by the end of March. Contact the issuer of the form (either the Marketplace, your coverage provider or your employer) if you think you should have received a form but did not get one. If you have questions about your Forms W-2 or 1099 or any other tax-related materials, please call or email the office. Updated income-tax withholding tables for 2017 have been released. The newly revised version contains percentage method income-tax withholding tables and related information that employers need to implement these changes. In addition, employers should continue withholding Social Security tax at the rate of 6.2 percent of wages paid. The Social Security wage base limit increases to $127,200 ($118,500 in 2016). The Medicare tax rate remains at 1.45 percent each for the employee and employer. The additional Medicare tax of 0.9 percent for employees (not employers) remains in effect and should be withheld from employee wages that exceed $200,000 in a calendar year, at the beginning in the pay period in which the employee’s wages exceed $200,000. In 2017 the amount for one withholding allowance on an annual basis is $4,050 (same as 2016). Employers should start using the revised withholding tables and correct the amount of Social Security tax withheld as soon as possible in 2017, but not later than February 16, 2017. For any Social Security tax under-withheld before that date, employers should make the appropriate adjustment in workers’ pay as soon as possible, but not later than March 31, 2017. Employers and payroll companies handle the withholding changes, so workers typically won’t need to take any additional action, such as filling out a new W-4 withholding form. Individuals and couples with multiple jobs, people who are having children, getting married, getting divorced or buying a home, and those who typically wind up with a balance due or large refund at the end of the year may want to consider submitting revised W-4 forms. As always, it’s prudent for workers to review their withholding every year and, if necessary, fill out a new W-4 to give to their employer. For example, individuals and couples with multiple jobs, people who are having children, getting married, getting divorced or buying a home, and those who typically wind up with a balance due or large refund at the end of the year may want to consider submitting revised W-4 forms. Please call the office if you have any questions about income tax withholding in 2017. Keep in mind this credit is not just a school vacation or summer tax benefit. You may be able to claim it at any time during the year for qualifying care. For more information, please call the office. To find out if you’re eligible for a coverage exemption or must make a payment, don’t hesitate to contact the office. Help is just a phone call away. When you started your business, maybe you were able to keep track of your inventory by peering in the closet or your garage. As it grew, that simply took too long. But you became tired of running out of stock because you didn’t have time to constantly check its levels, and you forgot about items that did not sell and were tucked away in a corner. You need inventory-tracking. QuickBooks can help you create thorough records for each product you sell. It keeps track of how much you have on hand and warns you when your stock is running low. And its reports tell you what is selling and what is not, so you can make better, smarter purchasing decisions. 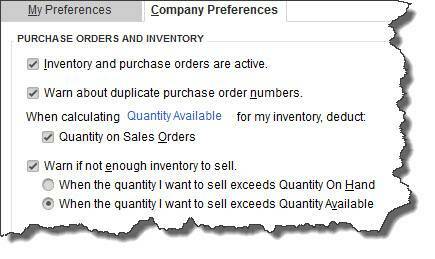 Figure 1: QuickBooks needs to know what your intentions are when it comes to inventory-tracking. First, of course, click in the box to the left of Inventory and purchase orders are active if it is not already checked. Click the next box down if applicable. The rest of this window deals with two concepts you need to understand. Quantity on Hand refers to the number of items that you actually have. Quantity Available subtracts items currently on Sales Orders. QuickBooks will warn you if you do not have enough of a specific item to commit to a customer. You just have to decide which definition of Quantity you want to use. When you are done here, click OK.
Now you can start entering records for the products you sell. Accuracy is absolutely essential here. You will see why as you explore QuickBooks’ tracking capabilities. 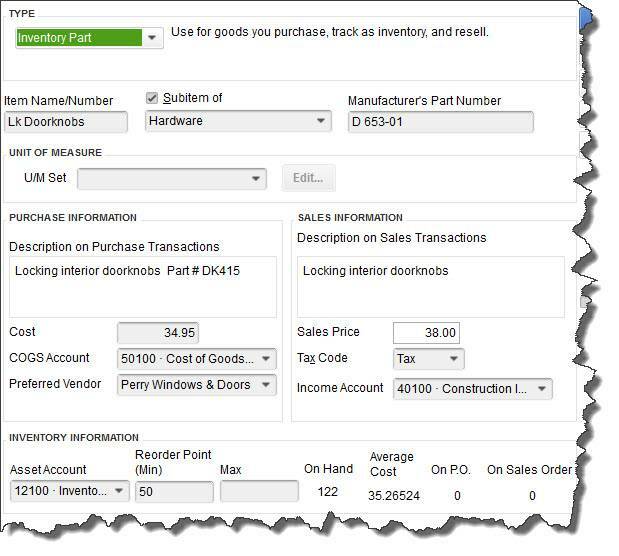 Figure 2: Double-and triple-check your work as you enter information in the QuickBooks item record window. If you have already named a main category (like Hardware, in the example above) and want to place your product in a subcategory of it, click the Subitem of box and choose from the drop-down list. Manufacturer’s Part Number is optional. You can ignore UNIT OF MEASURE, if this is not an option in your version of QuickBooks. If you buy this item from a vendor, fill in this side of the window. Write the description that should appear on purchase transactions when you place an order. Enter the cost you pay for it, and select the COGS (Cost of Goods Sold) account if the default is not correct. Do you buy this product exclusively from one supplier? Select the name in the drop-down menu under Preferred Vendor. Enter the description you would like customers to see on invoices and the price you’ll charge. If you are at all unsure of what to select for Tax Code or Income Account or need assistance understanding your Chart of Accounts and how these accounts are used in records and transactions, please call the office. Here is where the software’s tracking capabilities come in. QuickBooks will probably default to your Inventory Asset account, which is fine. Enter the minimum number of items that should be in stock when you get a reminder to reorder, and the maximum you want to have at any one time. Fill in the On Hand field with the number you currently have. QuickBooks will automatically calculate the Total Value. In the screen shot above, you see an example of what that last line looks like once you start using that item in transactions. You will see its Average Cost and the number that are currently on purchase orders and sales orders. Creating records for every product you sell can be tedious, time-consuming work. But the payoff comes in the real-time knowledge you will have of your inventory that will lead to better, smarter purchasing decisions. As always, help is just a phone call away. Employers – Social Security, Medicare, and withheld income tax. File Form 941 for the fourth quarter of 2016. This due date applies only if you deposited the tax for the quarter in full and on time. Farm Employers – File Form 943 to report Social Security and Medicare taxes and withheld income tax for 2016. This due date applies only if you deposited the tax for the year in full and on time. Certain Small Employers – File Form 944 to report Social Security and Medicare taxes and withheld income tax for 2016. This tax due date applies only if you deposited the tax for the year in full and on time. Employers – Nonpayroll taxes. File Form 945 to report income tax withheld for 2016 on all nonpayroll items. This due date applies only if you deposited the tax for the year in full and on time. Employers – Federal unemployment tax. File Form 940 for 2016. This due date applies only if you deposited the tax for the year in full and on time. Employers – Begin withholding income tax from the pay of any employee who claimed exemption from withholding in 2016, but did not give you a new Form W-4 to continue the exemption this year. Businesses – File information returns (Form 1099) for certain payments you made during 2016. These payments are described under January 31. There are different forms for different types of payments. Use a separate Form 1096 to summarize and transmit the forms for each type of payment. See the 2016 Instructions for Forms 1099, 1098, 5498, and W-2G for information on what payments are covered, how much the payment must be before a return is required, what form to use, and extensions of time to file. If you file Forms 1097, 1098, 1099, 3921, 3922, or W-2G electronically (except Form 1099-MISC reporting nonemployee compensation), your due date for filing them with the IRS will be extended to March 31. The due date for giving the recipient these forms is still January 31. Payers of Gambling Winnings – File Form 1096, Annual Summary and Transmittal of U.S. Information Returns, along with Copy A of all the Forms W-2G you issued for 2016. If you file Forms W-2G electronically, your due date for filing them with the IRS will be extended to March 31. The due date for giving the recipient these forms remains January 31. Large Food and Beverage Establishment Employers – with employees who work for tips. File Form 8027, Employer’s Annual Information Return of Tip Income and Allocated Tips. Use Form 8027-T, Transmittal of Employer’s Annual Information Return of Tip Income and Allocated Tips, to summarize and transmit Forms 8027 if you have more than one establishment. If you file Forms 8027 electronically (not by magnetic tape), your due date for filing them with the IRS will be extended to March 31. Health Coverage Reporting – If you’re an Applicable Large Employer, file paper Forms 1094-C, Transmittal of Employer–Provided Health Insurance Offer and Coverage Information Returns, and 1095-C with the IRS. For all other providers of minimum essential coverage, file paper Forms 1094-B, Transmittal of Health Coverage Information Returns, and 1095-B with the IRS. If you’re filing any of these forms with the IRS electronically, your due date for filing them will be extended to March 31. Farmers and Fishermen – Farmers and fishermen. File your 2016 income tax return (Form 1040) and pay any tax due. However, you have until April 18 to file if you paid your 2016 estimated tax by January 17, 2017.